UW–Madison’s official mobile app is the Wisconsin app — featuring a sharp interface and an array of options for Badgers on the go. Update or install via the Apple App Store or Google Play Store. We want to hear from you. What do you want to be able to do on your mobile device? Send your ideas, feedback and questions via email, or find us on Facebook and Twitter! 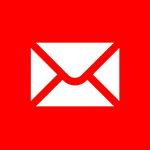 Access to Apple and Google app development and deployment resources is provided to UW–Madison departments and units free of charge. 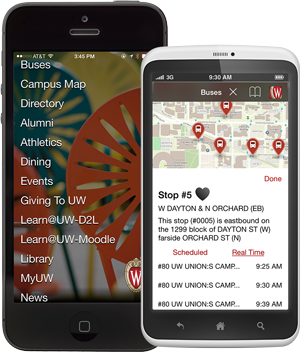 Many UW–Madison departments and units have created mobile apps and services!